Over a 45-year period and in 31 countries, David B. Zenoff has advised more than 90 organizations, ranging from major multinational companies to young start ups, and several types of not-for-profit organizations. His consultation, normally for senior executives and boards of directors, focuses on organizational renewal and development, initiating major changes, and strategy formulation. The forms of his support have included: workshops, short- and long-duration in-house courses, one-on-one advice giving sessions, and delivering reports on client problems with his findings, analysis, and recommended solutions. All of Dr. Zenoff’s assignments have included his studying clients’ organizations through extensive one-on-one confidential interviews with select employees, executives, and/or board members. As such, he becomes very familiar with each client organization and can assess its leadership; management practices; culture; employee morale, satisfaction, pride, and commitment; barriers to performance; administrative processes; internal communications patterns and effectiveness; and what will be required to resolve clients’ problems and best meet their challenges. Earlier in his career, Dr. Zenoff taught at the Stanford Graduate School of Business, Columbia Graduate School of Business, and IMEDE (now IMD) in Lausanne, Switzerland. He was also a research assistant for Harvard Business School in the Philippines. He received his BA degree at Stanford University, and his MBA and DBA degrees at Harvard University. He has served on the Board of Directors of three US public companies (Williams-Sonoma, Inc., Depomed, and ExamWorks Inc.); and was a Board member and Chair of Larkin Street Youth Services, a San Francisco not-for-profit organization that helps homeless and at-risk youth, and founding Board Chair of OnePurpose School a public charter school serving San Francisco’s poorest families. He has also provided gratis consultation for Mercy Beyond Borders, Mercy Housing of California, and the San Francisco Chamber Orchestra. This is his ninth book. An earlier one, International Financial Management, which he co-authored, won a national book award. 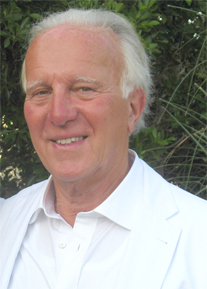 Dr. Zenoff divides his time between San Francisco, his principal home, Switzerland, and various international destinations. He is a devoted husband, father, grandfather, friend, and mentor; an avid hiker, Stanford sports fan, and former marathon runner. Among financial services institutions, Dr. Zenoff’s consulting clients have included universal banks, investment banks, investment managers, private wealth managers, brokerages, corporate banks, retail banks, community banks, and insurance companies: Allianz AG, Banca Patrimonial México, Banco Rio, Banco Santander, Bank of America, Bank of Boston, Bankers Trust Company, Bank S. G. Warburg Soditic, Banque Générale du Luxembourg, Barclays Global Investors, BZW, Centerbank, Chemical Bank, Citibank, Compagnie de Gestion et de Banque Gonet, Continental National Bank, Crédit Agricole Indosuez, Crocker National Bank, DanskeBank, Deutsche Bank, First Interstate Bank of California, First Trade Union Bank, Finter Bank Zurich, First Chicago, First Nationwide Bank, First Union National Bank, Girard Bank, GreenPoint Financial, Grindlays Bank, ING-Barings, Lombard Odier & Cie, Manufacturers Hanover Trust Company, Marine Midland Bank, Merrill Lynch, Midland Montagu (US), Midlantic Corporation, National Westminster Bank USA, Nikko Bank (Switzerland), OffRoad Capital, Pictet & Cie., PureMarkets, Royal Bank of Canada, Royal Trust (Switzerland), Santander Investment, Scudder Kemper Investments, Société Bancaire Julius Baer, Sun Trust, Union Bank of Switzerland, UBS AG, Wells Fargo Bank, WestLB Panmure, Westpac Banking Corporation, and Wetherby Asset Management. Among non-financial and not-for-profit organizations, his consulting clients have included: Arcata Corporation, AT&T, Balamundi, Bertarelli Foundation, Cameron Iron Works, CEGOS, Champion Spark Plug Co., Chiron, ePit Systems Inc., Depomed, Inc., General Electric, General Telephone and Electronics, Glaxo, Gulf & Western Industries, Holcim, ICI, iKnowMed, Italfarmaco, L.E.C.G., Levi Strauss & Co., Arthur D. Little, Navigant Consulting, The Nestle Company, Pacific Telesis, Portola Packaging, Prudential Residential Services Company, Richardson Merrill, Roche, San Francisco International Airport, Singapore Economic Development Board, Singer Company, Serono, Sun Microsystems, Tandem Computer, Touche Ross, Transamerica, Union Carbide, University of Notre Dame, VeriFone, and Westinghouse Electric. The American Bankers Association, American Electronics Association, American Management Association, Associated Business Programmes (U.K.), Business Week Senior Planners’ Roundtable, the City of New York, Columbia University, Corporate Seminars, European School for Management and Technology, Hewlett-Packard, IBM Corporation, IMEDE Senior Bank Management Conference, the International Marketing Institute, the Licensing Executives Society, McKinsey and Company, the National Association of Printing Ink Manufacturers, Northern Pacific Resources Council, Pacific Rim Bankers Program, Research Cottrell, RJR-Nabisco, Shanghai Jiao Tong University, Stanford Advanced Management College, United Nations, University of British Columbia, University of Pittsburgh, Vancouver International Financial Centre, World Bank Economic Development Institute, and the Young Presidents Organization.